This one I wrote while I reminisce the days where I used to babysit my niece and nephews. And you immediately close your eyes. 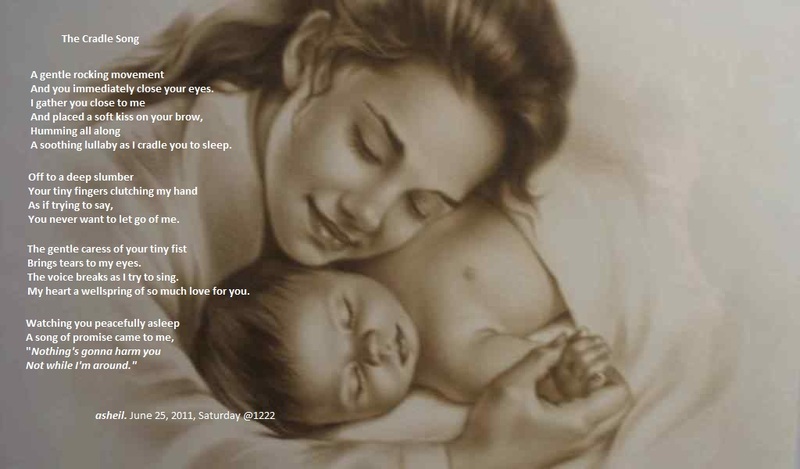 A soothing lullaby as I cradle you to sleep. Your tiny fingers clutching my hand. You never want to let go of me. My heart a wellspring of so much love for you. I'm thinking of my daughter right now....so sweet, sheila.